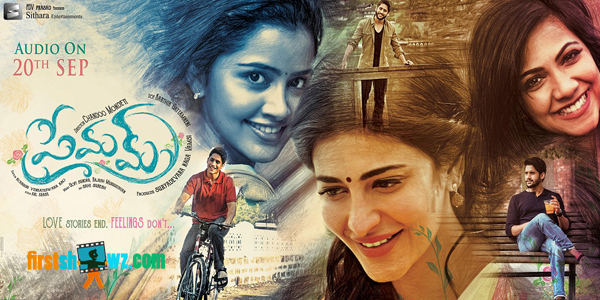 Naga Chaitanya’s coming of age romantic drama Premam audio was launched on September 20 amidst several bigwigs and Akkineni fans, and the audio and trailer are getting quite a good response. Gopi Sundar and Rajesh Murugesan scored musical tunes are soothing, while the lyrics penned by Ramajogayya Sastry, Shreemani, Vanamali, Purna Chary and Krishna Madineni are upbeat and soulful. Though three of the song tunes are from the original version, the beautiful lyrics make them listenable. 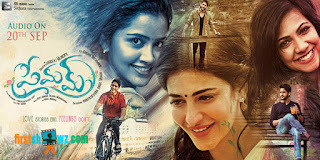 Premam is directed by Chandoo Mondeti and casts Shruti Haasan, Anupama Parameswaran and Madonna Sebastian as lead ladies. Nagarjuna who launched the audio opined that Premam will be a classic like Devadasu and Geethanjali. Premam Telugu version is slated for October 7th release.